Mike Fuller Gives His Feedback Regarding The Midterm Election! I don’t want to do too much Politics now because it is a drug that can be dangerous when you are overdosing. I am just a regular fellow, a good citizen fighting for the future of my life and my Country, a great and nice one that everybody knows on Earth because it is the symbol of freedom and friendship: the United States! It’s located in America as we needed a new location in an old continent we didn’t know before Christopher Columbus discovered it. Then so many immigrants arrived to organize towns and cities from the South to the North of This land named by a lot of us: THE LAND OF THE FREE! The United States MIDTERM ELECTION Is November 2, 2010!!!! 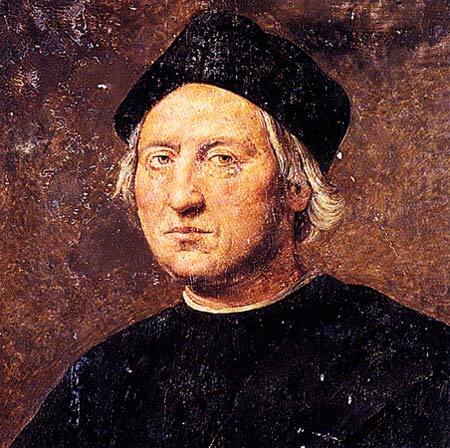 Christopher Columbus Is Probably better Know As Mr. AMERICA, The One who Gave An Ambition and an Identity To our Continent, a 2-Parts one, a Huge and Utopic Part of EARTH that Gives a Senses to The word-concepts LIBERTY And FREEDOM, Then Equality Came! 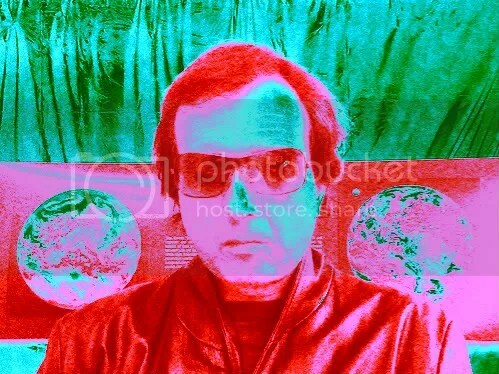 French Cop Franchise: It’s About A Nuclear War Against Russia And The Development Of Intelligence By The United States! 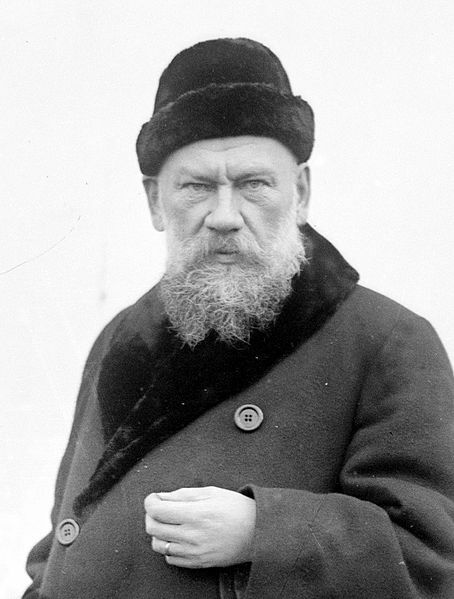 Fyodor Mikhaylovich Dostoyevsky is The Man who can make us understand better Super Heroes characters and franchises, including The German Spy and Other Mike Fuller’s creations: It’s written and this article is a Homage To the Author of CRIME AND PUNISHMENT! 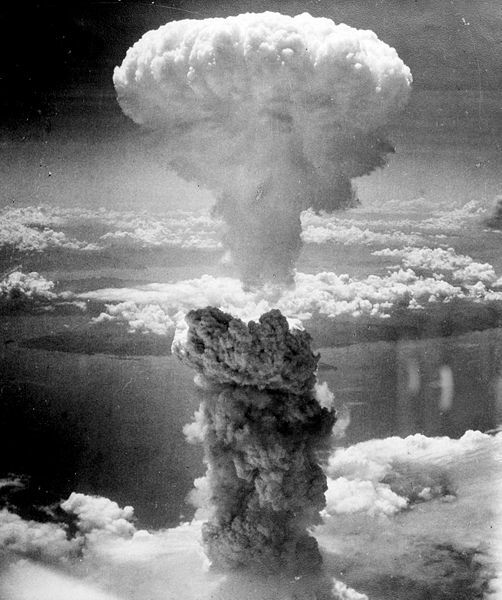 Nagasaki Was The End Of World War 2! If Russia Prevents Us To Finish World War 3, We Can Use The Atomic Bomb Again To Stop The War Process Worldwide And Begin World War 4 against Military Process In Progress in Foreign Countries! This Is The New Masterpiece Of Mike Fuller Novelism For A Comic Franchise Inspired By Tolstoy and Dostoievski! 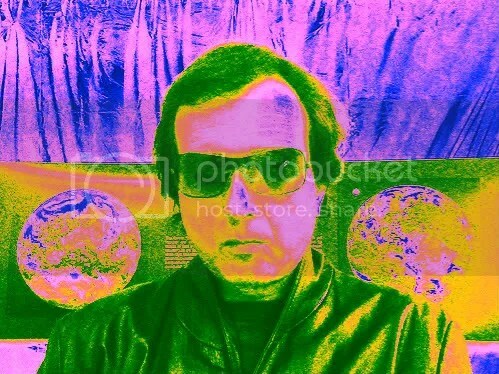 Tolstoy, The Great Master Of Mike Fuller! War and Peace is famously long for a novel (though not the longest by any means). It is subdivided into four books or volumes, each with subparts containing many chapters. The Story of the new Saga for comics conceived by Mike Fuller is about the French Cop universe characters in an environment of COLD WAR 2 and the Post-CIA era Replace by DARKPOL And DARKPOL SPACETIME in 2013! To Make A Planet Of Love, A Super Nova Of Happiness, STEP BY STEP, As We Can Do It Without Weapons! So Far So Good! If we need to use the Nuclear Weapons again, it will be the Last Time, like In The ROLLING STONES Song, To Stop definitiley the HATE Of The Enemies Of The United States: They Want An Earth Of Blood! 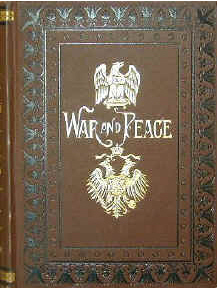 WAR AND PEACE: Read It Like The Bible, When There Is A Risk A New Hiroshima Like Today, 2 days before INDEPENDENCE DAY! No More American Soldiers Killed In Afghanistan! The French Cop Franchise Comeback Will Succeed This Summer with A Reason that makes a lot of sense For Investors and Fans: THE FINAL PRODUCTION STEP OF THE FEATURE FILM : T H E F R E N C H C O P after a 4 years process of development, pre-production and production preparation that is a monumental work not understood well enough by Timeframes, the real name of the horrible name Hollywood the first years of the Story Writing! The LLC’s change of name, from FRENCH COP To TIMEFRAMES, by The Multi-Aka Master of The Game In The Movie Industry, alias Mike, was the Beginning This Year of The Business Counter-Attack Of The Most attractive Characters well-Known to Be A Source Of Merchandising and Licensing in the United States and Worldwide! 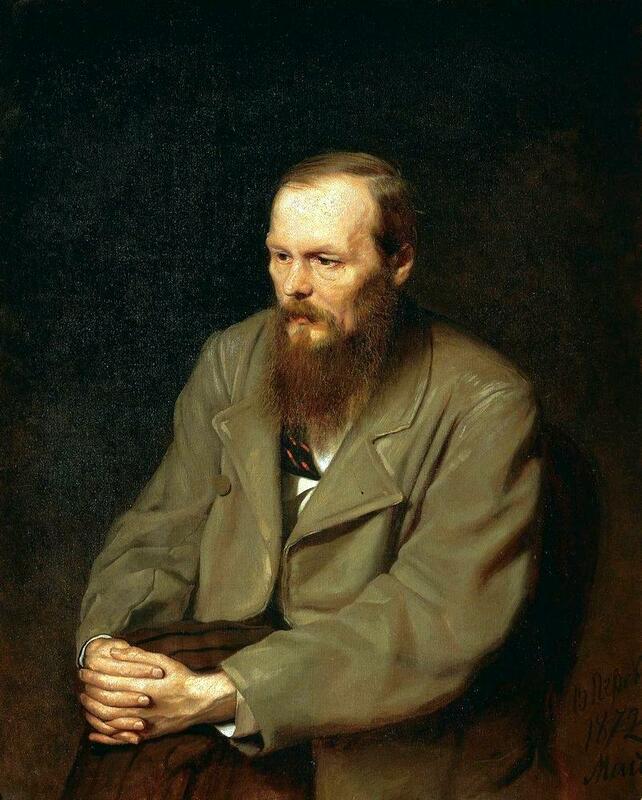 According To Wikipedia And Me, Dostoyevsky's literary output explores human psychology in the troubled political, social and spiritual context of 19th-century Russian society. Considered by many as a founder or precursor of 20th-century existentialism, He Is The Best Adviser Of Mike Fuller who Prefers His 1866 Masterpiece: Prestuplenie i nakazanie (Преступление и наказание); English translation: Crime and Punishment! Like War And Peace, War And Punishment Is Abouit Black And White, Sadness And Angriness, Woman And Men, Fight And Rest, Something Else and Better! THE UNITED NATIONS Attacked by Fuller-Vidal Regarding The Sabotage Of The FRENCH COP Saga And Other Comic Franchises: It’s On WordPress!!! Velvet Eyes, Thomas Spears, Vince and Patricia Sauvan, The F-Cop Are Characters that did not succeed until now because of the United Nations Strategy against Fred Vidal, PhD doing business and Politics as Mike Fuller according to lawyers close top the singer-actor-screenwriter and producer who prepare a File against the Intermnational organization accused to block and prevent diffusion and international commercialization of comic books worldwide and their exportation in the Movie Industry! Next step: Anna Karenina, 2nd masterpiece of Leo to understand the franchise of a young man who will be one day THE FRENCH COP… And founder Of Darkpol! Happy Labor Day 2009: Fred Vidal Prepared Macaroni And Cheese For His Busiest Writing Weekend Ever! Macaroni And Cheese, it's Mike Fulller's Choice For This Sunday Of Full-Time Writing Before Labor Day (Picture: This Afternoon, September 6). Happy Labor Day Everybody! That’s a 3-Day Weekend! 7 Stories About Women! The plot is online! First draft for the new story of The French Cop! Never, never Fred Vidal wrote so much. This Fiction, The Man With The Velvet Eyes and his new Pen Name, Mike Fuller, Give him wings and a strong inspiration for a story that is dedicated to the talent of the actress Blake Lively who is for Fred a Creativity Booster. More than that, Dr. Mike Fuller (PhD in Semiotics) finished for the first time this morning a long explanation of the 20 importants parts of the movie project THE GERMAN SPY. It is the first time that the storyline of Silence Thomas Spears adventures between Hollywood and Germany in the 20’s and 30’s is developed so much. The 5 first episodes of VELVET EYES for the Self-Titled Feature Film project are online and are long, long texts with pictures and really motivating and attractive stories told by Jonathan Founders, the hero, as if there were true life events, auto-biographical material. Why writing so much? To go further than the main ideas of the characters and aspects of their life, to prepare everything before the construction of the dialogues, to give to the readers the most about the scenes. It’s obviously indispensable but Fred did not do it before, preferring to prepare additional projects. Now it is time to be ready to build the film productions, to find a talent agent for his acting-screenwriting, a publisher for The Man and Production Companies to finance this for the Big Screen. It will be the goals after Mid-September. Now at almost 5PM, it’s time to write The SLAVERY Plot, another example of Mike Fuller’s diversity work and original novelism. Then The 6th Episode of The Velvet Eyes: In France, During The War will be prepared and online this evening. Bon appetit! Mike Fuller Focusing On Creativity To Develop His Main Projects, First The Man With The Velvet Eyes But Also German Spy and Slavery. For Independence Day, Fred Vidal, PhD Thinks About Our Next Dream For Our Country, A Secretary of Culture and A New Amendment Of Our Constitution About The After-Crisis!! “I’m for a Secretary of Culture In America because we need to know more what will happen in Our Country in the next years, for the new generation, for the upcoming decade. This is impossible if our heroes, the artists and the culture decidors and companies are not connected to the White House and the Government in Washington, DC. Culture means Movies, Books, Television, Radio, Internet and so much more in every family of the United States. This is not yet a reality but with our Petition on the Web, we work on it and we hope that President Barack Obama will sign the text that will create this new Organization. In the Movie Valkyrie, Tom Cruise, Our Best Actor in America, shows how it’s possible to fight against Dictatorship and Totalitarism. With my CD, Soundtrack of the Movie French Cop, I do the same with songs about Peace and Progress recorded by my Band BRAMSTOCKER. So, let’s forget the Crisis that will stop next year if we want it, with the Project of an Amendment, a new one for the Improvement of our Land Of The Free, the United States, Our So Great Country. 5) More Changes to improve Our System of Government to be prepared by The Ones who will Promote This Project of Amendment with me inside The Republican Party. President of TIME FRAMES LLC. PS: I’m working this weekend on a New Movie project That I want to propose To Steve Carell, The Title: Alter Ego and I’d like to diffuse the Story on This Blog This Sunday because it is a great one. I am hoping that my Friend Blake will be In This Movie Program. Evan Rachel Woods, The Sign Of Our Better Times In America According To Fred Vidal, PhD Because She Has The Eyes To See The 2010's. Sun And Set And Other Blog Texts Developed The Past Few Days Are Upgraded For the Last Weekend of June, Before Independence Day! Sun & Set and Other Blog Texts Developed the past few Days are Upgraded For the Last Weekend of June, Before Independence Day! – A Comic Strip that is now online for the communication about LIFE AFTER HOLLYWOOD! Sun & Set, Comic Strip is Created As a Gift for Agnes Bruckner, an Actress Selected by Fred Vidal, PhD for the Young Celebrities Program and a Symbol Of The New Hollywood, TIME FRAMES, that will be built by TIME FRAMES LLC, the new Name of French Cop LLC with the creation of a NonProfit to promote the Movie FRENCH COP. RED PRINT: Sun & Set, A Time Frame that makes sense for a new generation of comics generated by computers and radio-management.